Somehow it's Turkey time already! I know I can't be the only one that's baffled by the fact that the holiday season's have begun. 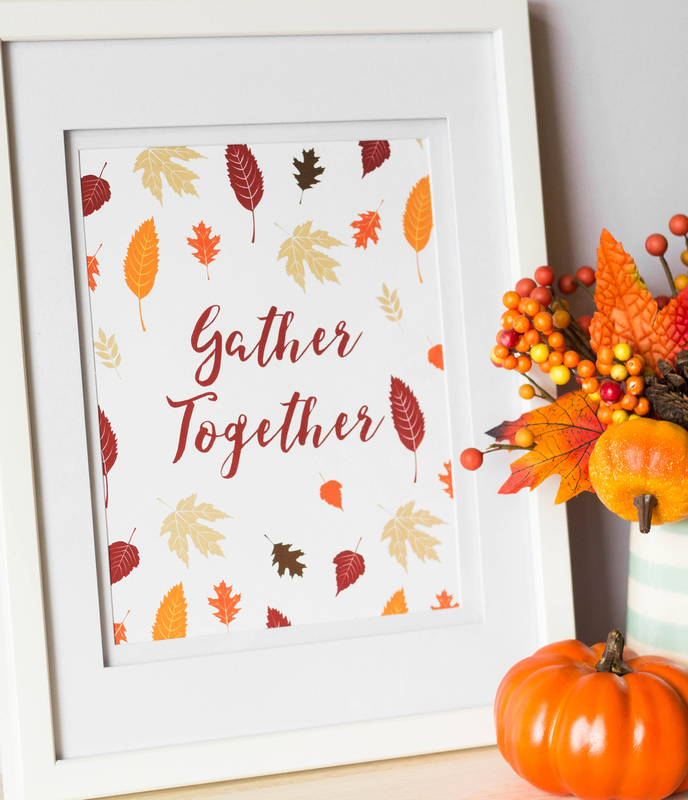 It's no secret that fall is our favorite season, but somehow Thanksgiving usually gets lost in the mix in between the Halloween and Christmas festivities. This year I'm on a mission to change that! The frenzied Friendsgiving planning has begun and even though it'll be a small gathering here, so far away from home, that doesn't mean it can't be just as special. 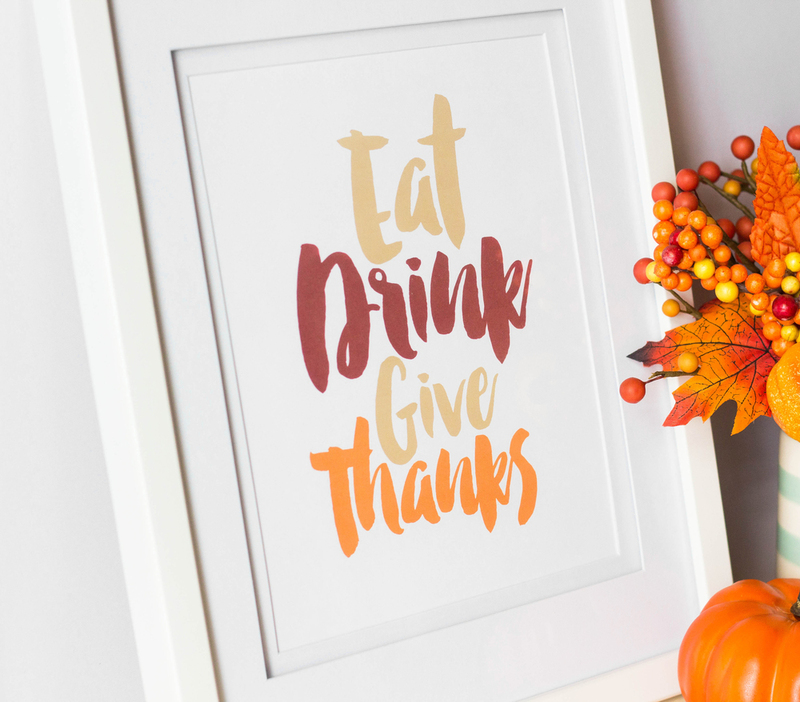 We've got 2 free home decor prints to help dazzle up your Thanksgiving decorating. Display them throughout your home to celebrate or the season, or use them to dress up your buffet table. Get Our "Eat Drink Give Thanks" print here. Get our "Gather Together" print here.